PP non-woven is supported by the textile world. What gives this material versatility and low cost. Is it really green? It is a recyclable material used to make bags of quality, low cost along with printing logos. Non-woven polypropylene bags make great promotional products because the non woven material is easy to color, which gives companies a large number of color choices. They are also very affordable, and easy to print on. People will use these bags, which is another reason they are good for a promotional product campaign. Rather than using a redundant element that most people will throw away, reusable shopping bags with printed business logos will give companies greater exposure. Consumers welcome the companies that are environmentally conscious. So what exactly is Polypropylene Non Woven Fabric? Let’s start by explaining what it means to have a woven fabric. Cotton, which is a natural fiber growth is spun together for very long pieces. These long pieces are placed one above the other as basket weaving. Hence the expression of “woven.” So when a substance is considered non-woven, it just means that it is not made of laced strands on the other. Instead, non-woven fabric is made from a type of plastic and pressed very thin in terms of substance. Now, what is non woven polypropylene? This is a plastic polymer, whose chemical composition is C3H6. The advantages of this type of plastic is the high melting point, compared with many other plastics. This gives the material a washable feature and provides heat to melt the ink and transfers heat to the fabric for logo printing. Polypropylene can also be easily dyed, which explains why this material is very popular for making reusable shopping bags. 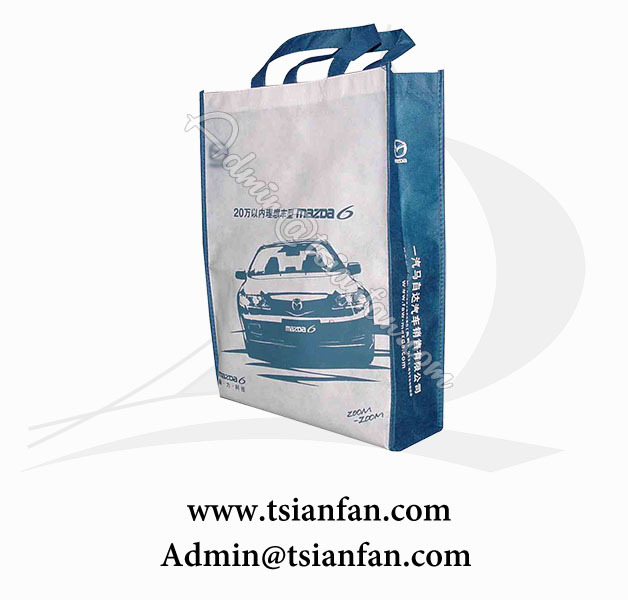 Tsianfan is professional non woven bag manufacturer, if any need, welcome to contact us.